ebrochure So much potential awaits! Brick ranch home just down the street from the golf course in Midlane Estates Subdivision. Gurnee Schools! New furnace. New oven/range. Windows installed within the last 5 years. Home boasts 4 bedrooms, 2.5 baths with a full master suite. All first floor living with over 2,900 sq ft of space. 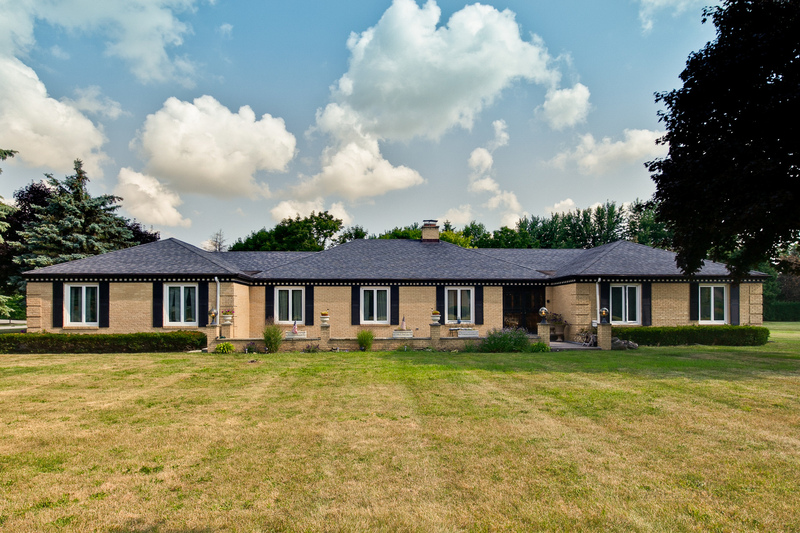 This home has everything you could want in a ranch style property. Kitchen with separate eating area, large living room and family room, dining room, mud room w/laundry, and a bonus room as well. The property provides space inside and out as it sits on a 1 acre lot and possesses 3 separate patios for family time and leisure activities. Wadsworth Rd and Delaney. South on Delaney to Gent. Right on Gent. Property on the right. I was searching on Blue Fence and found this listing. Please send me more information about 4150 West Gent Drive , Wadsworth, Illinois 60083. Thank you.